Neenah, WI - A Federal Bureau of Investigation (FBI) study identified 200 active shooter incidents in the U.S. from 2000-2015 that killed or wounded a total of 1,274 people. To help organizations improve employee response and survival in these unpredictable and quickly evolving situations, J. J. Keller & Associates, Inc. has introduced the Active Shooter/Active Threat training program. The new online course is designed to empower employees by teaching them warning signs of workplace violence, how to recognize the presence of an active threat, possible courses of action to take based on individual abilities and location, and steps to follow when law enforcement arrives. 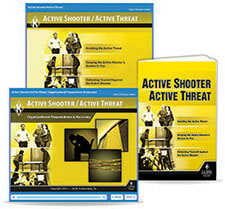 As a follow-up to online training, employees can reference the Active Shooter/Active Threat employee handbook to test their knowledge and assess their surroundings to determine the best course of action in the event of an active threat or active shooter. 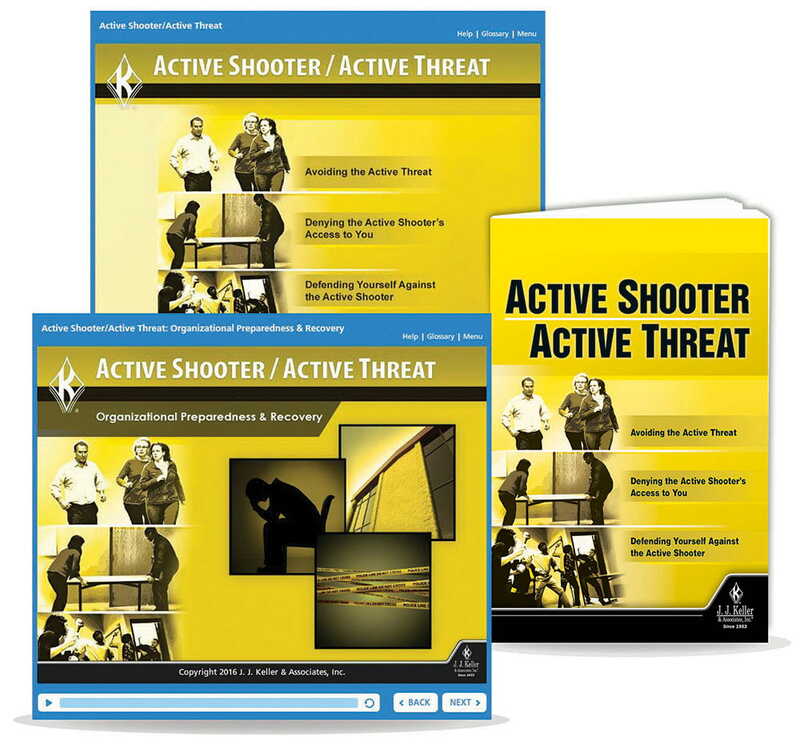 In addition to employee training, J. J. Keller provides an Active Shooter/Active Threat: Organizational Preparedness & Recovery online course for management and human resources professionals. Information provided in this course is designed to assist with the challenging administrative and leadership responsibilities associated with incidents of workplace violence, such as helping the organization prepare for, and recover from, an active threat or active shooter incident.